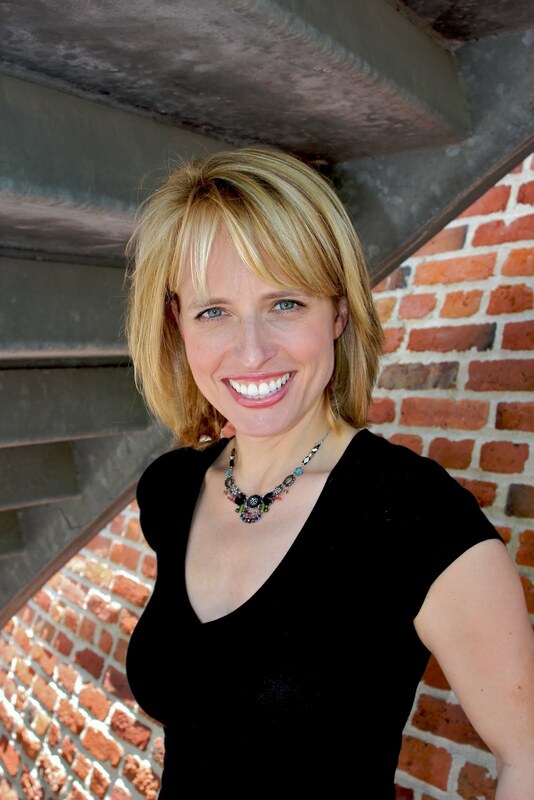 Kimberly Franklin: A contest, Daisy Whitney and The Mockingbirds! 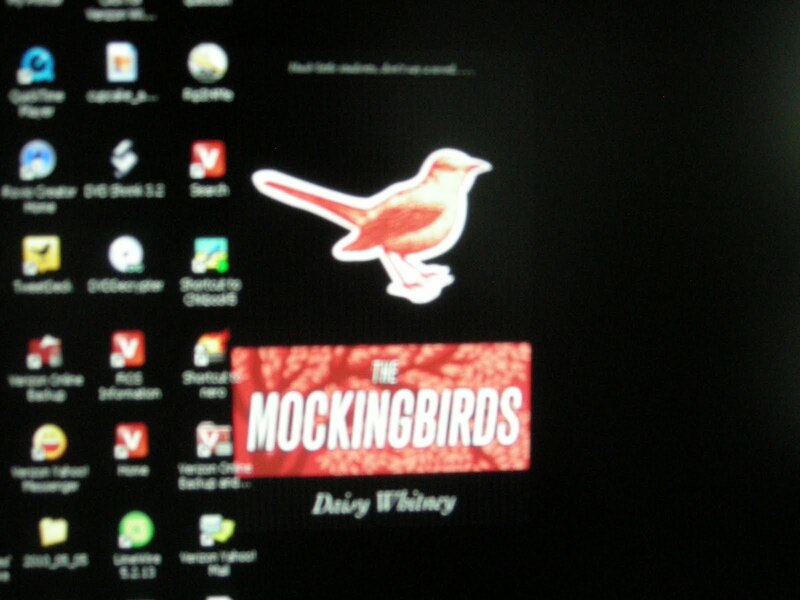 A contest, Daisy Whitney and The Mockingbirds! Does everyone know who this lovely lady is?? Hmm?? Well you all should because she is the coolest! And I'm not exaggerating one bit when I say that. For all of you who don't know (shame on you!!) this super awesome lady (with the gorgeous necklace and I'm sure fabulous shoes--she loves shoes as much as I do!! 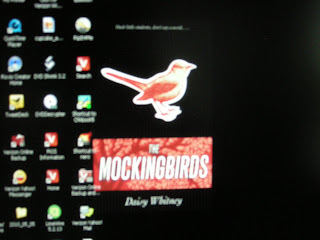 There's nothing cooler than that, for sure) is Daisy Whitney, debut author of The Mockingbirds, which will be flying off bookstore shelves nationwide on November 2, 2010. Now, you're probably asking yourself why I'm professing my love for Daisy when her book isn't even out yet. Well, I do have a reason. 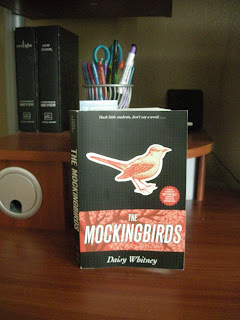 Why yes, that picture you see is an ARC of Daisy's book, The Mockingbirds. And yes, that is a picture I took of the ARC my dear, shoe lovin', friend Daisy sent for me to worship. *ahem* I mean, read. How cool is that?!?!?!!! I couldn't resist taking more pictures, because, I mean, just look at it! It's beautiful, isn't it! 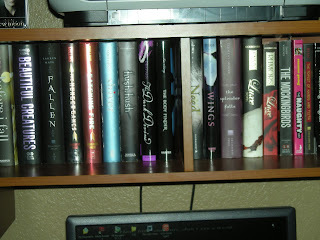 Here's a picture of The Mockingbirds on my book shelf, where it will rest permanently November 2, 2010. Anyway, I want thank Daisy for sending me a copy of her ARC to read. I was dying to read it and believe me when I say: OMG... you guys must pre-order your copy of The Mockingbirds now!! And, you can find more info about The Mockingbirds on Daisy's website. But wait, there's more. 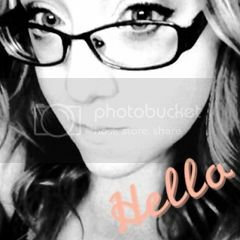 A few month's back, this lovely lady, donated a book for me to give away during one of my contests. For whatever reason (because really, I can't remember why I haven't given this book away yet), I still have it and have decided that now is as good as ever to give it away. 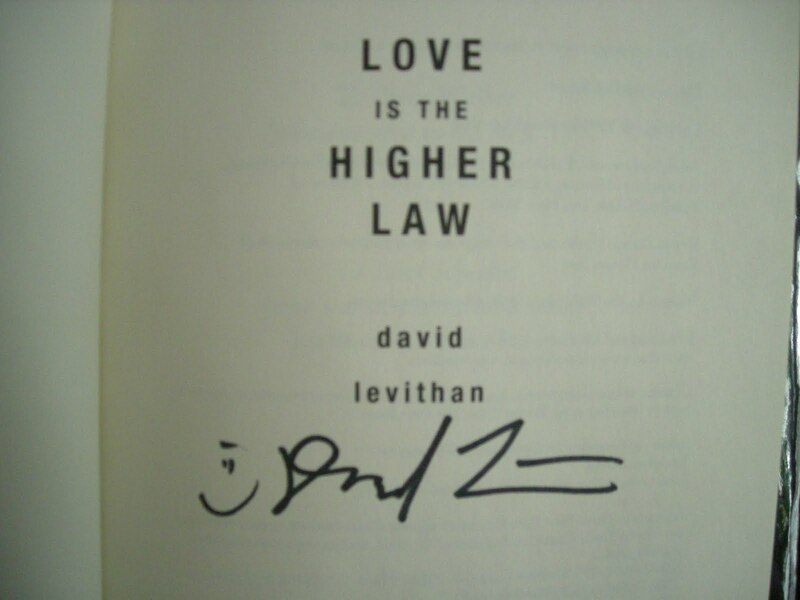 The book: Love is the Higher Law by David Levithan. And to top it off, it's AUTOGRAPHED!! But that's not it. I swear, Daisy is one of the most generous people on earth! Thanks to Daisy, I have more prizes. I don't know about you, but I can always use a bookmark. You must be a follower of this blog and comment on this post. Now how easy is all of that? Just be sure to let me know if you've done anything to get extra entries. The contest will end Sunday, May 30, 2010, so get busy and good luck!! There's no doubt in my mind that your name will be there in November. Not to belittle the Mockingbirds, but I saw two pictures of your bookshelves and got all excited thinking you were going to post pics of ALL your shelves (a sickness of mine) but (sniff sniff) it was just the two. Seriously, it sounds so cool. Roll on november!! How exciting!!! I would have been absolutely elated as well! I love all the wonderful pictures you gave us to rub it in our faces!!! Just teasing I know you were just showing it off!!! Great contest, and I think I'll be pre-ordering my copy this weekend!! If not sooner! Really exciting!! Love the Mockingbirds ARC...it holds the eye, begs for more...This must be Super Cool Monday for Jen announced at Unedited that Elana Johnson has a book deal! I hope you're next, Kim, with your name up on the bookshelves!! Congrats to Daisy on The Mockingbirds. I bet she can't wait for November! Hurray for ARCs! How awesome is Daisy?! Congrats to her on her book (yes I want to read it.) 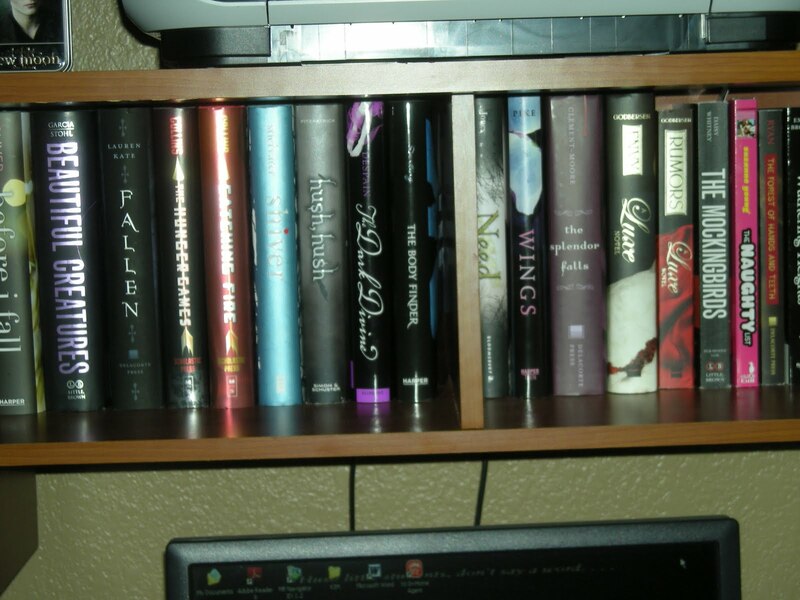 I love your bookshelf --hmmm pretty similar to mine. 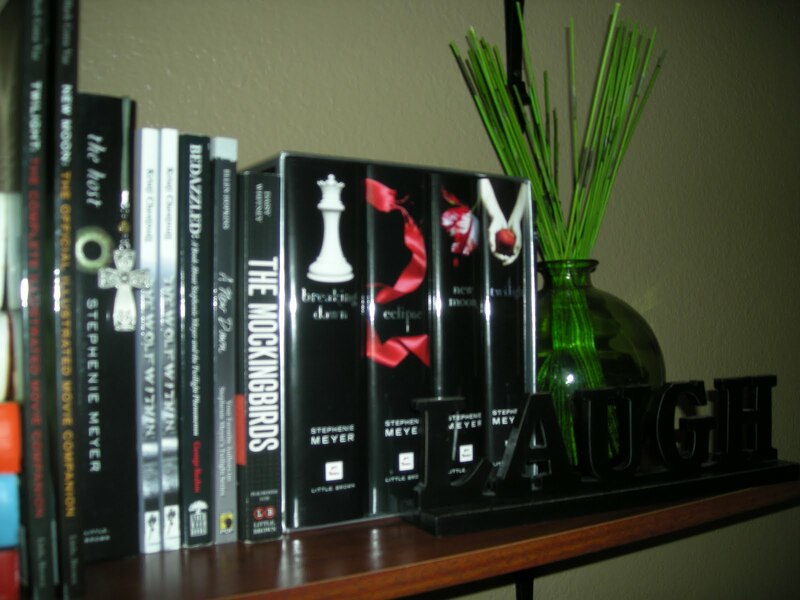 Although I have not read all my books yet. (forgive me I'm a slow reader and well the kiddos don't like me ignoring them.) I will post about this of course (wednesday) and will tweet it. I have new bookmarks! With the design and release date and more good info, so I'll give you new ones for your contest! And wow -- thanks for all the nice things and especially for posing my book! You are the cutest! I love Daisy! I know her book is going to be awesome so of course I am buying it. Wow! How cool! And what a great contest, Kim. Awesome contest, I'm now excited about this book! Great contest! I'd love to win that ARC! And your contest sounds great! What fun! I didn't think you got carried away:) Loved the pics; why not photo document such events?? The book sounds good, too. Hot boy casting call - sounds like fun! Great contest - I'll add it to my sidebar. That is so cool! I love the cover. I definitely will be thinking of this book, and waiting for it to come out in November. I haven't heard of the book but apparently I should have :) If you enjoyed it then I'm sure its awesome. I'll have to pick up a copy. 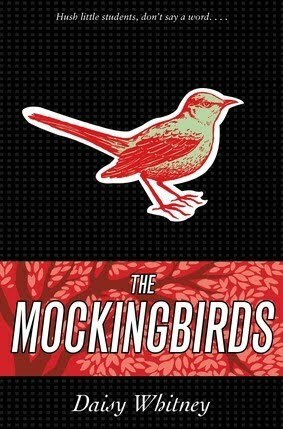 THE MOCKINGBIRD sounds like such a fabulous book. Can't wait to read it comes November! So exciting! Thanks for sharing the news and the giveaway! Sweet! I'll add it to my to-read Goodreads bookshelf NOW! Love the contest and trust your opinion on all things bookerly! And what a sweet contest...I just won something which is odd for me so maybe I'm on a winning streak?? Let's hope so because this one looks pretty cool! Count me for three extra, I'll post it in my sidebar. 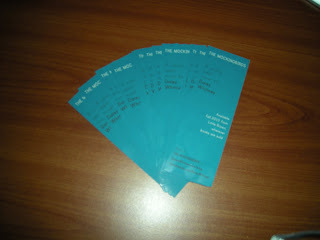 Yay for contests!!! Count me in! I would love to win this book. Sounds so interesting! I will blog about your giveaway now!